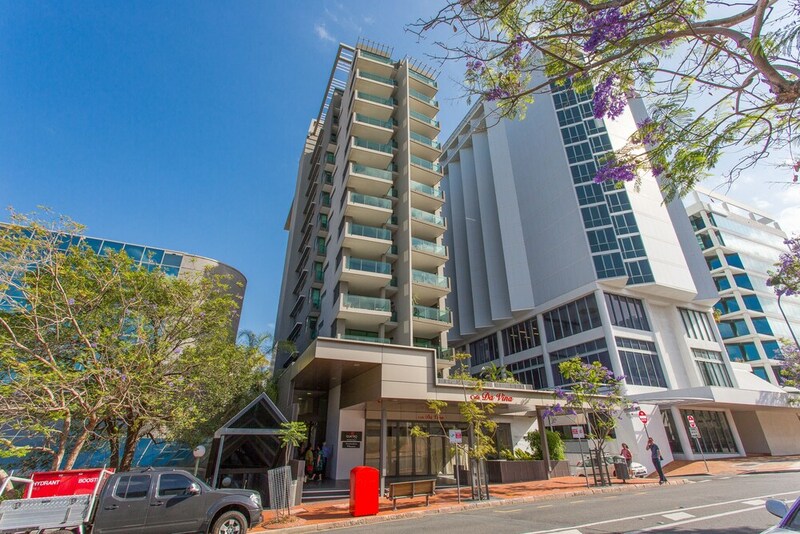 A stay at Quattro on Astor Apartments Brisbane by Restt places you in the heart of Spring Hill, within a 15-minute walk of Queen Street Mall and King George Square. This 4-star apartment is 0.6 mi (0.9 km) from Brisbane City Hall and 0.6 mi (0.9 km) from Eagle Street Pier. Make yourself at home in one of the 52 air-conditioned rooms featuring kitchens with full-sized refrigerators/freezers and stovetops. Rooms have private furnished balconies. LCD televisions with digital programming provide entertainment, while wireless Internet access (surcharge) keeps you connected. Conveniences include separate sitting areas and microwaves, and housekeeping is provided weekly. Enjoy a meal at Cafe Da Vina or snacks in the apartment's coffee shop/café. The apartment offers a coffee shop/café. Public areas are equipped with complimentary wireless Internet access. In addition to an outdoor pool, Quattro on Astor Apartments Brisbane by Restt provides a spa tub and a sauna. This Spring Hill apartment also offers a rooftop terrace, dry cleaning/laundry services, and an elevator (lift). Parking is available onsite for a surcharge. Quattro on Astor Apartments Brisbane by Restt is a smoke-free property. Cafe Da Vina - This restaurant serves breakfast only. Reservations are required for massage services. Reservations can be made by contacting the apartment prior to arrival, using the contact information on the booking confirmation. Parking height restrictions apply.